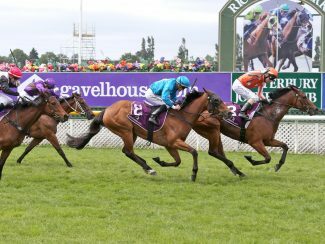 Visiting northern filly Media Sensation shrugged off a chequered trip to Christchurch to claim her maiden Group One victory in Saturday’s Gavelhouse.com New Zealand 1000 Guineas (1600m). 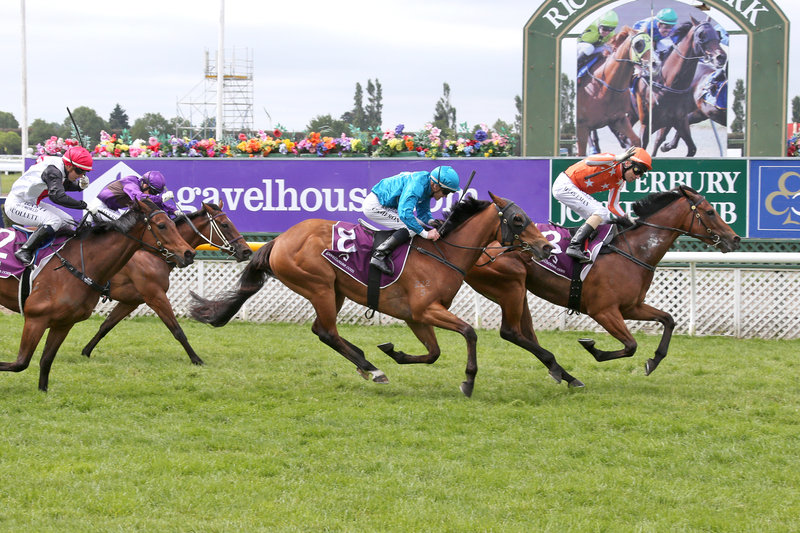 Prevented from travelling south earlier in the week due to fog in Christchurch, the Peter and Dawn Williams trained three-year-old only arrived at Riccarton on Friday courtesy of a special charter flight. That disruption may have unnerved some lesser individuals, however the I Am Invincible filly never turned a hair as she dominated her rivals from on the pace, courtesy of a special ride from Michael Coleman. The experienced horseman had his mount travelling sweetly beside pacemaker Wekaforce throughout before driving clear in the home straight to hold out the fast finishing Valalie and race favourite Xpression. “She got the bounce right today and went forward to where there was no pressure outside the leader,” Coleman said. “She travelled beautifully although I may have gone a bit soon as I didn’t want to be caught napping if something really decided to sprint around us. Co-trainer Peter Williams admitted he had a fleeting moment of panic prior to the race when eventual runner-up, Valalie, got down in the stall next to Media Sensation and had to be extricated by the barrier attendants before being passed fit to race. “I was a wee bit worried when they were going to scratch that horse,” he said. “I couldn’t see as she was out the back and I just hoped she wasn’t being naughty in the gates. Williams paid tribute to owners Sarah Green and Ger Beemsterboer of Barneswood Farm, who had outlaid $425,000 for Media Sensation from the Lime Country Thoroughbreds draft at the 2017 New Zealand Bloodstock Premier Yearling Sales. “They are great owners,” he said. It was the second win in the race for the Williams, Green and Beemsterboer combination after outstanding filly Planet Rock carried the same colours to victory in the 2011 edition of the contest. Race favourite Xpression lost no admirers after battling on gamely in the run home while inexperienced filly Valalie was the eye-catcher after overcoming the upsetting barrier incident prior to the race to run on bravely for second.